Our first photo shows a very modern kitchen for a family with an active lifestyle. The cabinets are finished with auto body paint, and edges are rounded for ease of cleaning. The stainless steel and granite island is dramatic, but easy to care for. 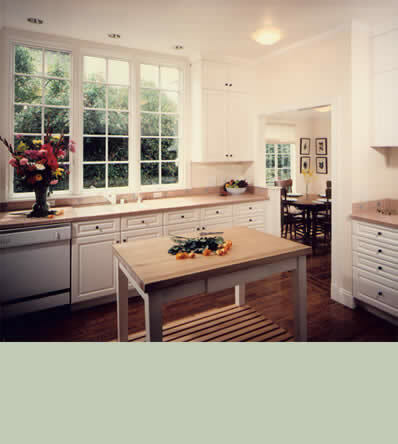 The second photo shows a new kitchen in a handsome French Country- style home. The windows were enlarged to maximize natural light and play up the tall ceilings. Tile and wall colors were chosen based on the traditional palette of the Alsace region.